What’s this, a new Calaverita from The Beast Brothers!?! How exciting is that! It’s been almost two years since we’ve had a run of Calaverita and The Blot’s thrilled to see this adorable skull back for Designer Con 2017! 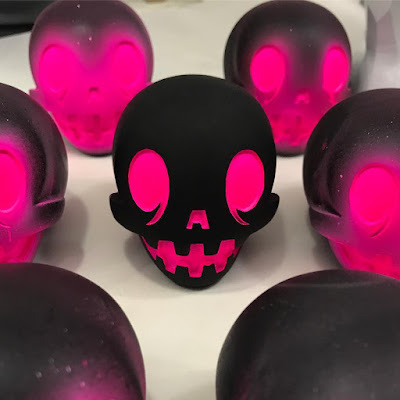 This beautiful black and pink Calaverita is the first resin edition and it stands just 2.5” tall. The Blot sooo needs one of these! This figure can only be purchased this weekend at Designer Con 2017 in Pasadena at The Beast Brothers DCon booth #1614.